Dreaming of a weekend get away, a hideaway or just downsizing? Here is the place for you! Ready to move in with its fresh paint, carpet, and laminate flooring, this home features granite counters, an open floor plan and a 2 car carport and storage building. Plenty of room to entertain on the lower slab or enclose it for more indoor living space. Located in the Indian Lake Subdivision about 3 blocks away from the boat ramp on beautiful Indian Lake that's stocked with bigmouth bass, crappie, sun perch, and catfish. There's even a lighted dock in the middle of the dam so the whole family can enjoy fishing. Or, have fun Kayaking or canoeing on the lake! You're sure to enjoy the big community pool and picnic area to kick back and relax while you soak in the atmosphere. 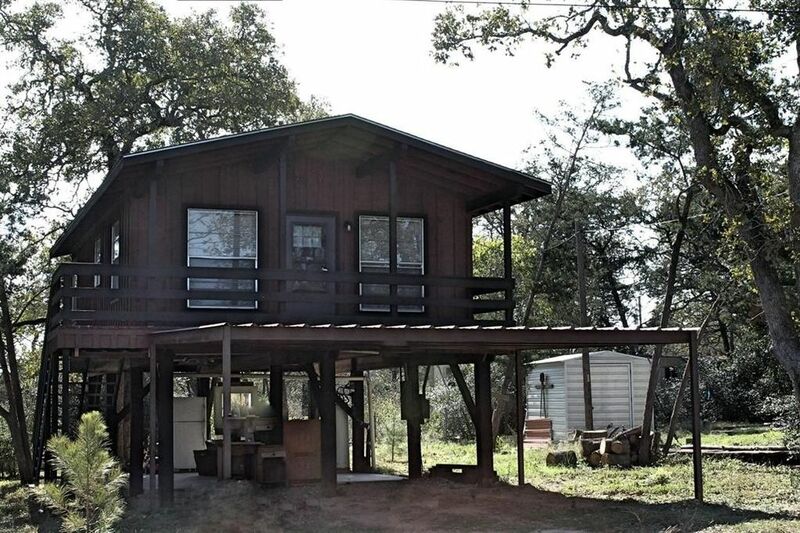 Only 2.5 hours from Houston and a short drive from Austin makes this property the perfect "getaway"!